The Ruby-throated Hummingbirds should start arriving in our area any time now, so it’s time to start thinking about getting the feeders out and filling them up. The most widespread species of hummingbird in Alberta is the Ruby-throated Hummingbird, which can be found in most of the province. Then there are the Rufous, Calliope, and Anna’s Hummingbirds which are found in southern Alberta, for example around Calgary and Canmore. Once a hummingbirds has found a feeder, it will stay extremely loyal to that feeding site. In fact, hummingbirds will return to your house year after year if you keep your feeders filled with fresh nectar. Mix the water with the sugar until the sugar has dissolved completely. You can boil the nectar if you like but it’s not necessary, though it dissolves the sugar much faster. If you do boil the nectar, let it cool before filling the feeder. The nectar can last up to two weeks in the refrigerator if you make extra. Don’t substitute for honey, Splenda, any artificial sweetener, or corn syrup for regular white table sugar. 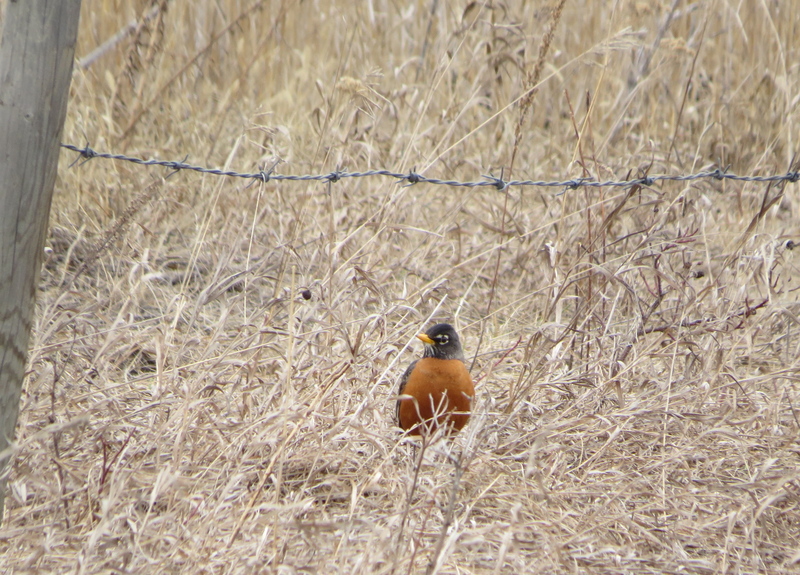 Don’t use red dye either, even food coloring, because it might harm the birds. Instead, buy a feeder with lots of red on it or tie a red bow or ribbon to the feeder which you can remove the ribbon once the hummingbirds find the feeder. If the feeder is in the shade, change the nectar every five days; if it’s in direct sun, change it every two days. If the nectar looks cloudy or if you see black spots on the inside of the feeder, it’s time to change the nectar. It’s a good idea to clean your feeder before you refill it every time, washing it with dish soap and water and rinse well. I like to thoroughly disinfect my feeders at least once a month with a solution of 1 part bleach to 9 parts water. Soak your feeder in this solution for up to one hour, and then clean with a toothbrush. Rinse with water and refill the feeder. 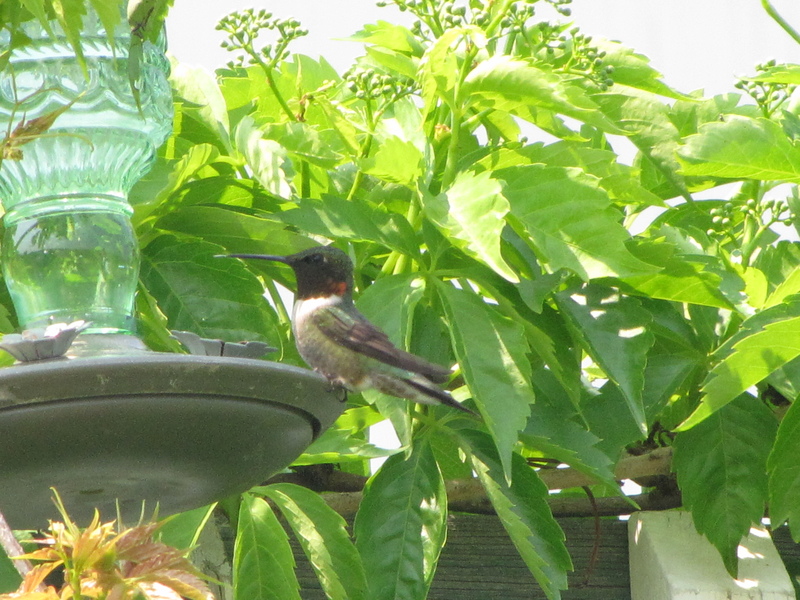 The key to successful hummingbird attraction is clean feeder and fresh nectar. If you see hummingbirds flying around your feeders but not feeding, it’s a sign that the feeder maybe empty or that the nectar has gone bad. A clean hummingbird feeder is essential! A good time to hang up your hummingbird feeders in Alberta is at the beginning of May and don’t be in a hurry to take them down in fall. Some people think that leaving feeders up in the fall means that the hummingbirds won’t migrate or will delay migrating. This is false. 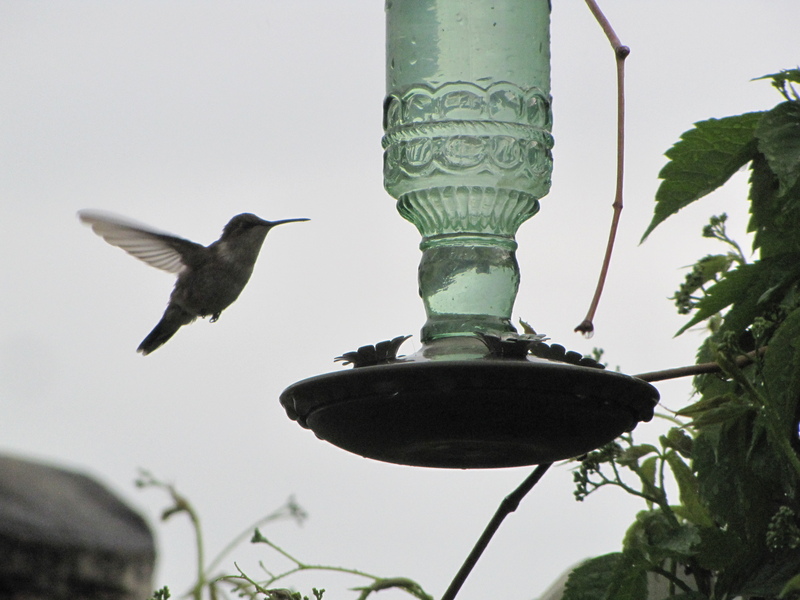 You can leave your hummingbird feeder up past Labour Day or even longer if you like. If keeping a feeder seems like like too much work, consider planting some flowers. 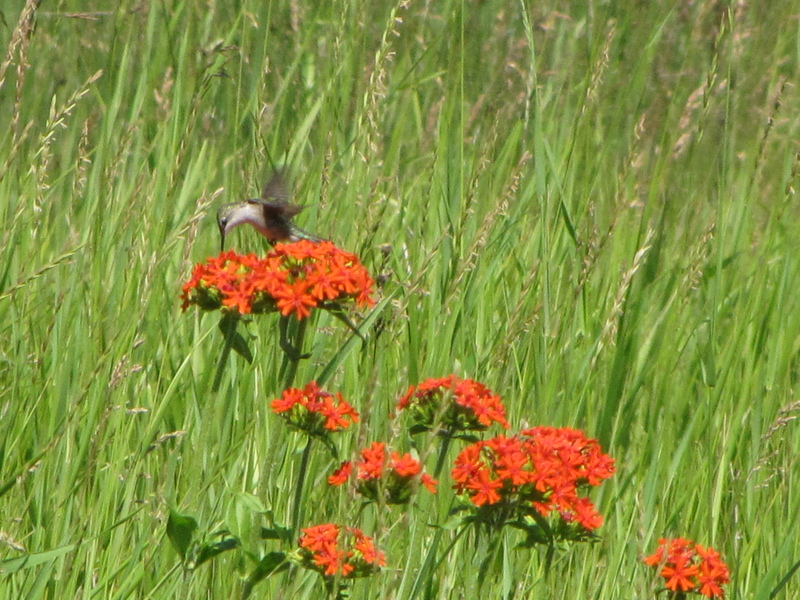 While hummingbirds are attracted to red, orange, and pink flowers, they like any flowers rich in nectar. Hummingbirds seem to prefer honeysuckle, columbines, hibiscus, salvia, lupines, verbena, trumpet vine, bee balm, Maltese cross, agastache, and fuchsias. Also, consider planting native flowers, shrubs, and trees. If you live in Alberta, here are some native plants that hummingbirds will enjoy: Fireweed, Bracted Honeysuckle, Red Osier Dogwood, Jewelweed, Snowberry, Meadow Blazingstar, Red Paintbrush, Slender Blue Beardtongue, Wild Bergamot, and Wood Lily. Here is a wonderful list from the Canadian Wildlife Federation on native plants that will attract hummingbirds in Canada. 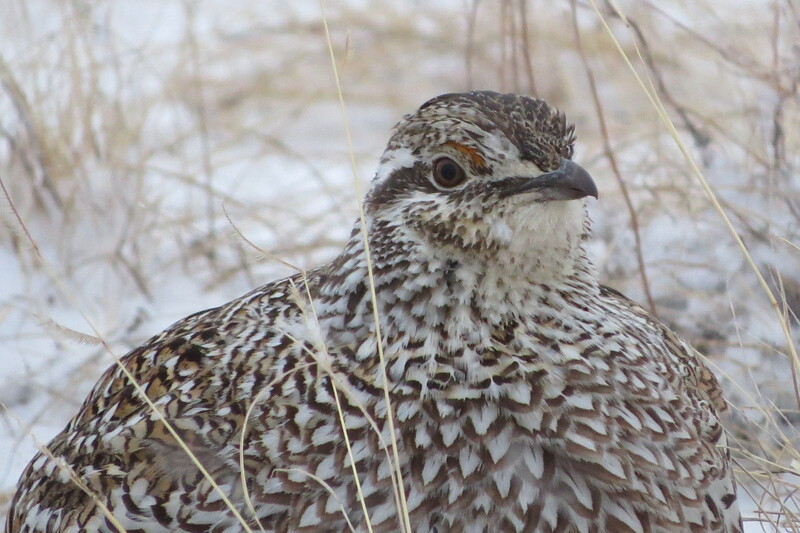 Each year our local naturalist society makes the one-hour drive to the Canadian Forces Base at Wainwright, Alberta, to see the annual Sharp-tailed Grouse dance at their lek. The field trip is arranged by the Wainwright Naturalist Society, whose members also maintain the several blinds where we sit and observe. 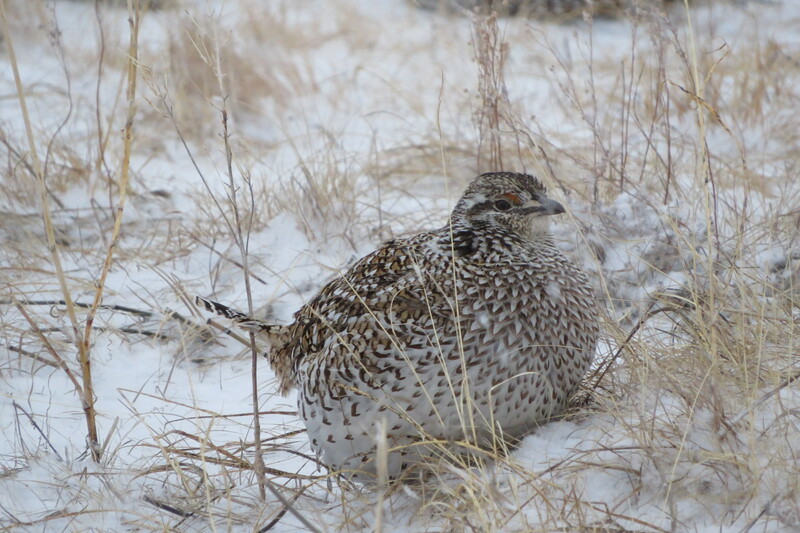 This part of the province has the highest counts and density of breeding Sharp-tailed Grouse. 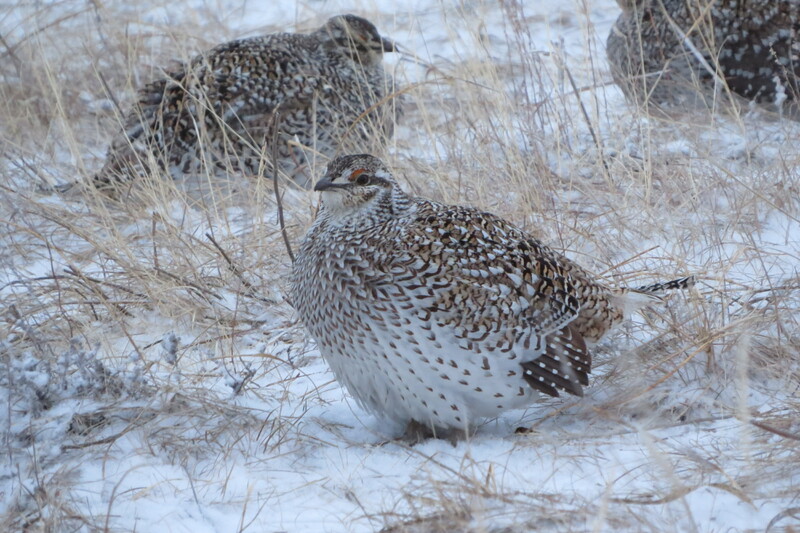 Thursday morning at 3 am I was awake and ready to head out to watch male Sharp-tailed Grouse strut their stuff at the lek (mating ground) on the Camp Wainwright base, along with Lakeland College students in the Wildlife & Fisheries Conservation program. We left Vermilion at 4 am because there’s a security briefing at the base, about not touching anything, including exploded and unexploded mines. 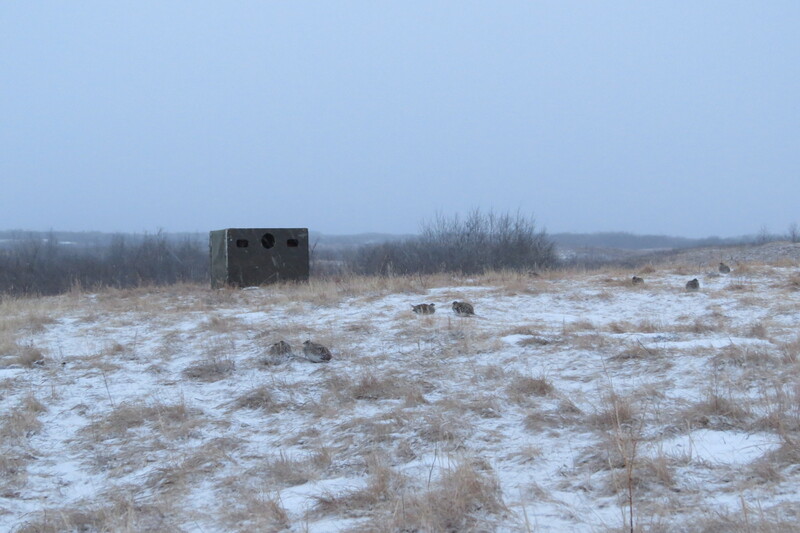 Once the briefing was over, we drove to the part of the base, all native prairie, where they practice with mines and explosives and then walked about a quarter of a kilometer to the blinds. The birds start dancing at sunrise, which is why the field trip starts so early. This year we actually arrived before the grouse did, so it was good that we didn’t disturb them as we got ourselves situated in the blinds. 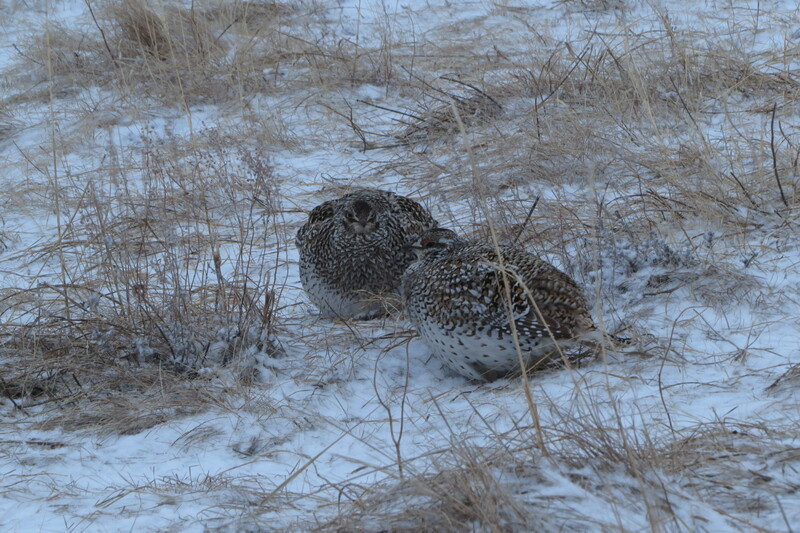 There are very few places left with any Sharp-tailed Grouse at all, let alone breeding pairs. 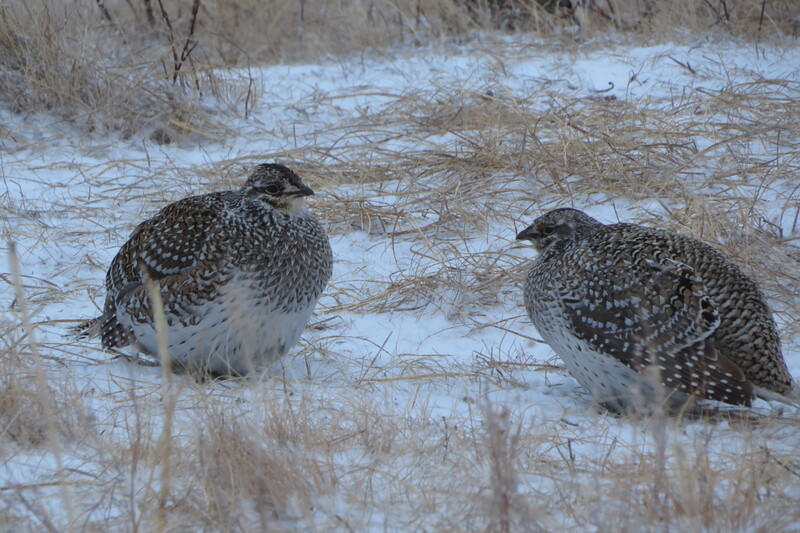 Our group counted 15 displaying males this year, up from last year’s six grouse. 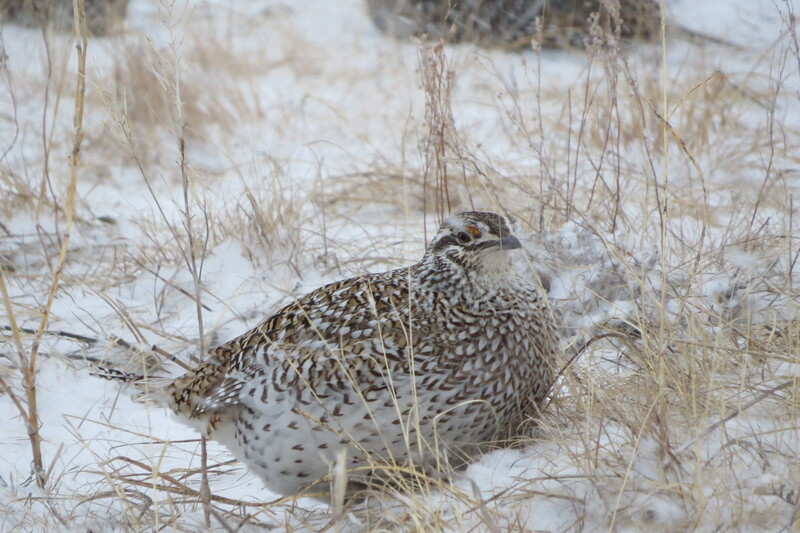 The grouse weren’t as active as in previous years — not dancing as much and spending more time just huddled up, which was probably attributable to the wind, cold temperature (-8 c), and snow falling. But otherwise it was a great morning! After we finished watching the birds at around 7 am, we drove back to the base for breakfast in the mess hall, where they prepare anything you might want, from pancakes, waffles, and sausages, to eggs and fruit. 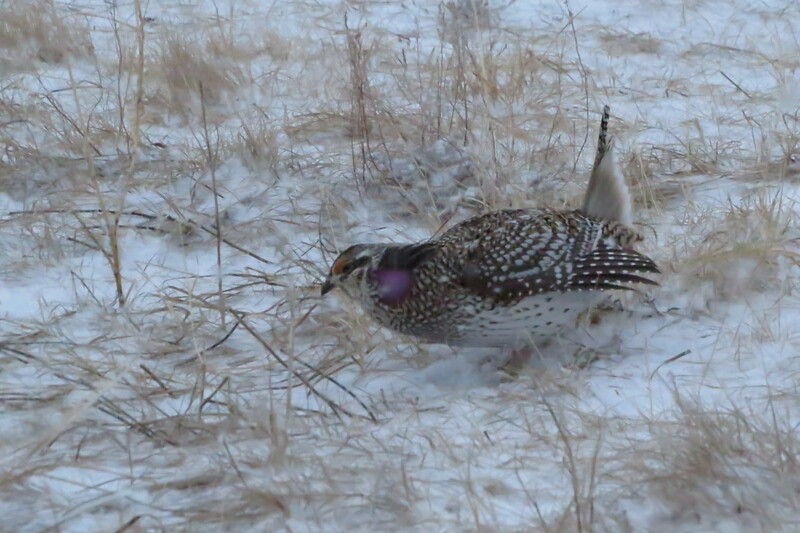 This is the fourth year I’ve watched the Sharp-tailed Grouse dance, and the day is always one of the highlights of our naturalist society activities and of my birding year. One of the other blinds and a couple of pairs of males. How many can you count? :: The US Fish & Wildlife Service’s National Fish and Wildlife Forensics Laboratory studied three solar farms in Southern California and found a disturbing amount of bird injuries — 233 total birds, over 71 species — and says that there are no easy fixes to the problem. 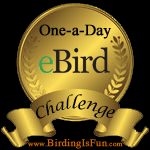 :: A new list documenting the world’s most distinctive rare bird species, according to their appearance, behavior, and evolutionary history, has been compiled by researchers at Yale University and the Zoological Society of London as part of the EDGE of Existence conservation program. :: Mountain Bluebirds and other cavity-nesting bird species in Nevada are being killed by the hollow plastic pipes driven into the ground to mark mining claims on public land; the birds go into the pipes but can’t climb back out or spread their wings to fly, so trapped at the bottom, they slowly die of dehydration. :: The U.S. Geological Survey and researchers from the University of New Mexico and Northern Arizona University released a report last week the effects climate change on wildlife species in the Sonoran Desert and the Colorado Plateau ecosystems; the Pinyon Jay is projected to lose nearly one-third of its breeding range, while other species could lose as much as 80 percent by the end of the century. :: BBC nature show host Chris Packham is criticizing television producers and bird charities for ignoring the mass slaughter of migrant birds in Malta. :: The US Fish & Wildlife Service has again extended, to April 25, the public comment period on a proposal to list Yellow-billed Cuckoos as a threatened species, because of last year’s government shutdown. 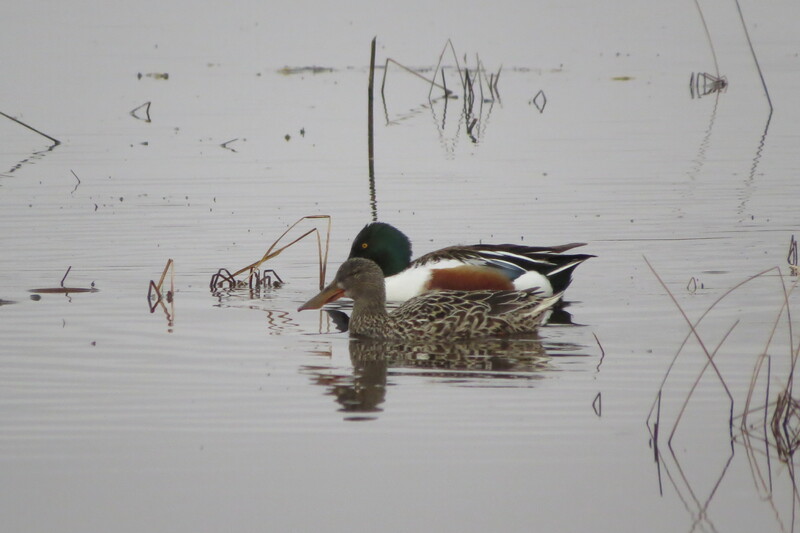 :: Several iconic bird spices in the Adirondacks (NY) are in trouble — including the Yellow-bellied Flycatcher, Lincoln’s Sparrow, and Palm Warbler — with declines driven by the size of their wetland habitats, how connected these wetlands are to one another, and how near they are to human infrastructure, according to a new Wildlife Conservation Society study. :: According to the Center for Biological Diversity, Defenders of Wildlife, and WildEarth Guardians, a new federal plan to list the Lesser Prairie Chicken as threatened rather than endangered would not reverse the species’ decline because it would allow ongoing destruction of the bird’s habitat, and so the three groups plan to sue the US Interior Department and US Fish & Wildlife Service under the Endangered Species Act. :: From Jeff at NeoVista Birding: Sunshine’s Got Me Humming for Hummers! Earlier this week on Facebook, one of my friends shared this terrific sparrow poster created by Richard Edden. 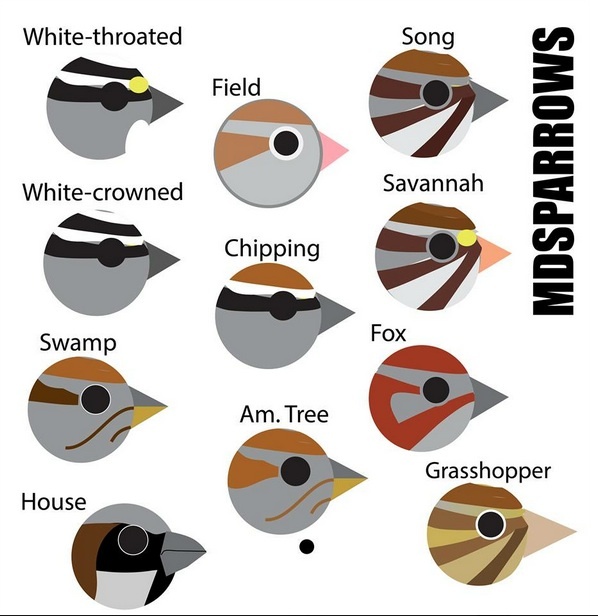 It’s a very handy chart if you’re out in the field and quickly want to compare sparrow “faces”. 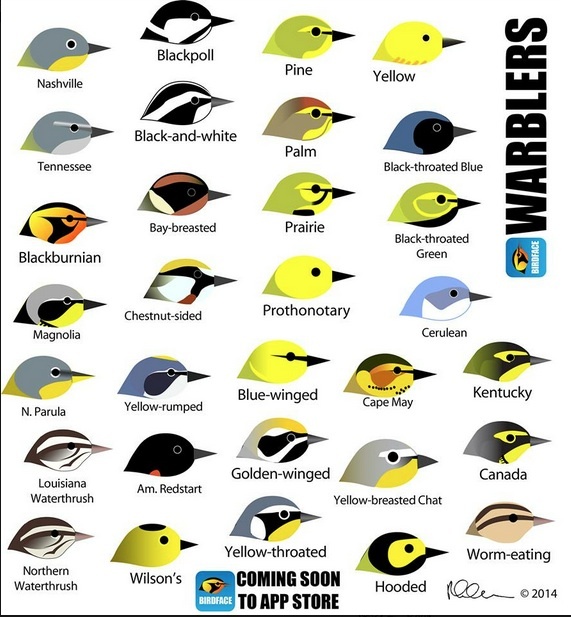 A few days later, Mr. Edden shared a poster of “warbler faces” and also announced that he’s working on an app called BirdFace, which will be out soon! Mr Edden just created a Facebook page for BirdFace today!